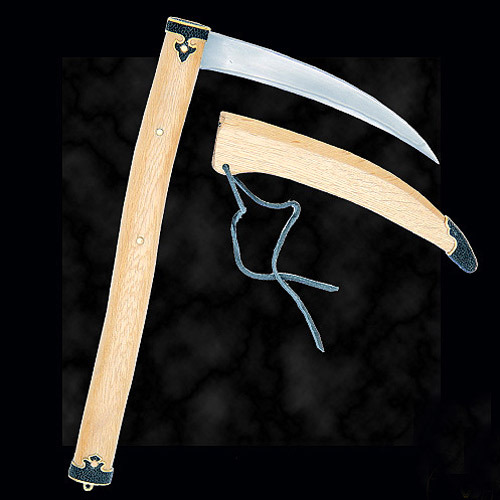 An Okinawan weapon that originated with the rice sickle when Japan invaded Okinawa and banned swords and other weapons. In response, the Okinawan people developed complex martial arts systems from farm tools. Kama have become an important item of equipment for modern students of Okinawan kobudo. These superior quality kama are made by Paul Chen / Hanwei, with differentially treated hand-forged T10 high-carbon steel blades showing hamon (temper lines). The handles and blade covers are oak with blackened brass detailing. 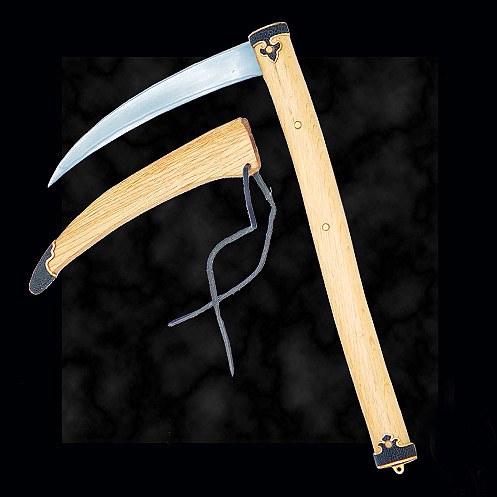 Kama are often used in pairs, and the unique wedge-shaped blade section requires that the Kama be right & left handed.